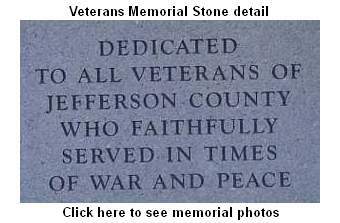 Jefferson County offers monetary relief to indigent veterans, spouse and family members to assist with bills pertaining to rent, utilities, medical treatment and burial. This program is funded by the county to provide emergency basic needs. 1. Must be a "legal resident" of Jefferson County. 2. Discharged from Armed Forces under "Honorable Conditions". 4. Meet certain income guidelines. 6. Register for work (unless disabled) and participate in promise jobs and JTPA. 7. Have emergency basic needs that cannot be met by other means. The Jefferson County Veteran Affairs Commissions in cooperation with the Wapello County Veteran Affairs and the Veterans Hospital in Iowa City offer free transportation Monday through Friday. Jefferson County veterans wanting to ride the van to the VA hospital should call Ottumwa 641-684-4485 to schedule a ride. 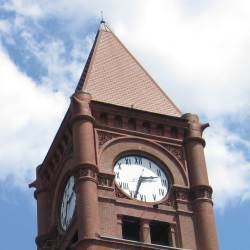 The office in Ottumwa is only open for a short time each day. So call and leave your name and information. They will call you back to confirm what time they will be at the Fairfield HyVee parking lot. They plan to leave Ottumwa 2 hours before the first appointment. https://www.va.gov/. All benefit forms can be found at this web site. American Legion meets at the same location as the VFW. 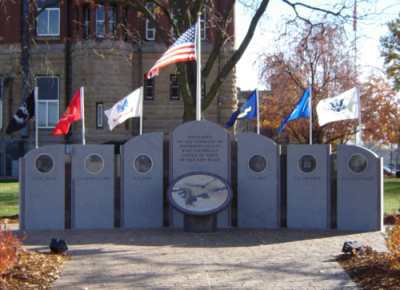 A memorial honoring veterans from the Army, Navy, Marines, Air Force, Coast Guard and National Guard was dedicated on November 11, 2005 on the west side of the Courthouse lawn. Click here to see more photos.